Step 2. Please send us an email for your lesson! Step 3. We will send you an invoice through PayPal to confirm your reservation. We take advance bookings for May and later months please kindly email us. Thank you! ●Inquiries for the later schedule, please send us an email to request your detailed information (date/menu/ number of people). We will email you back within 2 working days! **For a group booking(Company team-building activity/Activity for an incentive trip etc) more than 10 people, please ask. We ask participants to book 24hrs prior as we have to prepare for the ingredients. All the payment is required to pay through PayPal in advance. Your booking will be confirmed after the payment. Our new menu for MOSAIC sushi is coming up as a new lesson! We are excited to announce that Ayuko's First Recipe book has been released!! 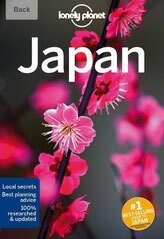 You can purchase on Amazon.com Japan or book stores at Narita/Haneda international airport! Japan has become one of the world-wide known destinations for foodies. Sushi, Bento box are becoming a big trend. We have the most michellin star restaurants in the world! (More than Paris!!) Good restaurants hopping might be the for one reason to visit Japan. But there is another option for you to enjoy Japanese foods. Cooking and learning Japanse cuisine during your journey might be new idea. 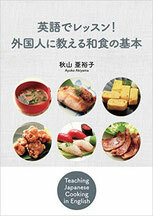 If you are a food lover, why not deepen your cultural background knowledge through Japanese foods & cuisinary? 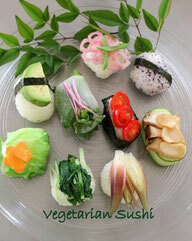 Surely the experience of making sushi, bento box, noodle etc...will add a certain spice to your cooking and lifestyle! This would be the best souvenier for you to bring Japan home. We ensure memorable moment moment during your stay. Our classes provide you with intimate, cozy and friendly atmosphere, guided by a Japanese instructor who speaks English fluently. 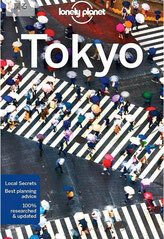 Also the kitchen studio is situated in the heart of Tokyo, very easy asccess. (5 min from Inperial Palace/Tokyo Station/Akihabara, 10min from Shinjyuku/Shibuya) In our dining room, there are so many good books introducfooding Japanese culture & food culture that you can enjoy more than just cooking! All the courses are hands on recipes that you can try at home! We try to give you as simple instruction as possible so there is no need for beginners to worry. At the same time we do intensive course and tailor the class to your level of experience. Please come & join us and discover a real taste of Japan! Lonely Planet recommended Cooking School! We are being introdeuced in both Japan and Tokyo edition! 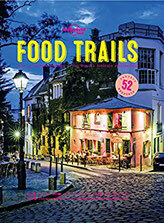 And newly published Food Trails book, too! Winner of 2019 Certificate of Excellence! 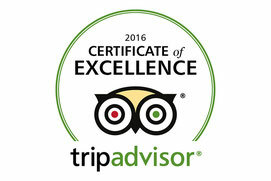 Experience and give us a review! ■A great travel web site Uncover Japan, Mandy gave us a lovely report from her experience of our Bento Box Class! "A Buddha Bellies class won’t take too much time out of your sightseeing schedule, but it will introduce you to typical home-cooked Japanese food and a lovely Tokyoite who is passionate about sharing her knowledge. Just bring your enthusiasm … and your appetite!"